What can Dr. Raghuvanshi bring to the table at Fortis? Those who have known Dr. Ashutosh Raghuvanshi, who will take over as the new CEO of Fortis Healthcare from March, describe him as a low profile but powerful leader. His long years at Narayana Health, where he has been with its founder Dr. Devi Shetty, since its early days, clearly show him as a leader who can bring in stability to any organisation. This could be crucial for Fortis, considering the rather turbulent times it has been through in the last 2-3 years. As Fortis was trying to grapple with various issues around Singh brothers and the public auction process, many in the industry felt that the brand was taking a hit. The healthcare provider was in the news for all the wrong reasons. And in addition to this, there was instability at the top. Though Bhavdeep Singh, the last CEO at Fortis, resigned in November 2018; those within the healthcare circles, say he was seen as a leader in transition for a much longer period. Therefore, having a CEO in place now is a source of relief. But what can Dr. Raghuvanshi bring to the table at Fortis? At one level, there are some striking differences. The understated Dr. Raghuvanshi is seen as a leader from a culturally different, South India-headquartered organisation and where he has for years worked with a charismatic clinical leader like Dr. Devi Shetty. Fortis on the contrary is quite different. Not just in its geographical focus but also in its birth and growth. Therefore, leading such an organisation as its CEO will be a big shift for Dr. Ashutosh Raghuvanshi. While Fortis has some great clinicians, it is largely perceived as a North India-focussed entity and unlike most leading hospital chains, was not incubated and created under a leading clinician's umbrella like Apollo Hospitals under Dr. Prathap C Reddy or Narayana Health with Dr. Devi Shetty, or Dr. B S Ajaikumar at HealthCare Global. But then, those who have known Dr. Raghuvanshi closely say, though understated, he has been a powerful and consistent leader since the early days of Narayana and has played an important role along with Dr. Devi Shetty in driving the growth of Narayana Health. The hope is that he will get some of that acumen into Fortis. Much, of course will depend on how IHH now wants to drive Fortis. Perhaps it will be different from the operating style of Fortis earlier, when it was run largely as an Indian enterprise, which may not be the case now under a global entity like IHH. 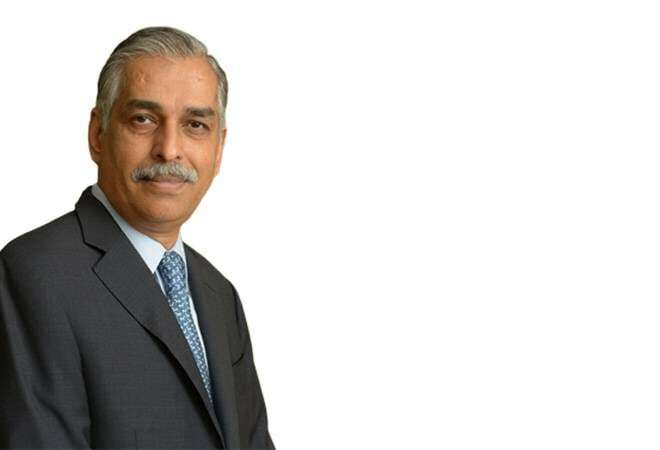 Business Today asked Vishal Bali, the former group CEO, Fortis Healthcare, on how he looks at the new leader and what could one expect different at Fortis. He said that with its past issues behind it, Fortis should hopefully with the induction of a new leader, be a very stable organisation and get back to what it does best, which is clinical care delivery. Dr. Raghuvanshi is an MCh (Master of Surgery) in Cardio Thoracic Surgery from Bombay Hospital Institute of Medical Sciences, MS (General Surgery) and M.B.B.S from Mahatma Gandhi Institute of Medical Sciences, Wardha, Nagpur University.